This interview is part of our ongoing series on dental tourism. Check out this page for more interviews with patients and dentists. 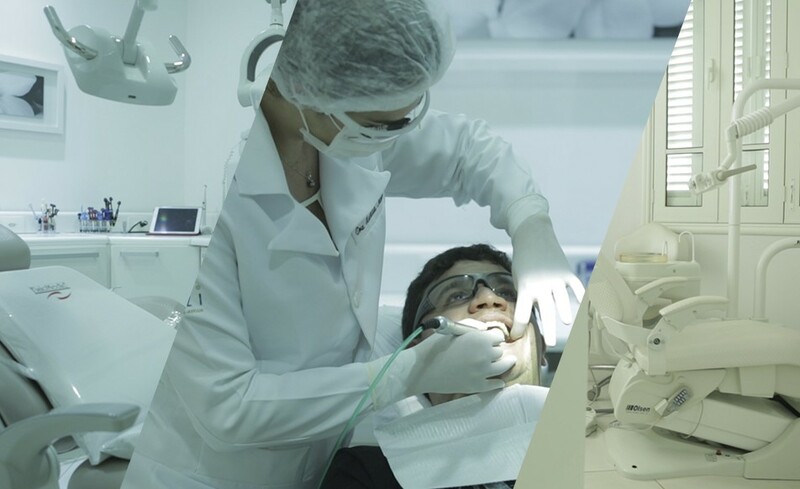 My name is Thiago, i own a high quality dental clinic located in the South zone of Rio de Janeiro, near to downtown, Santos Dumont airport and the sugar loaf. We practice only high quality services using the best products in the Market. Our clinic offer all the dental areas where the patient can make all the necessary procedures at odontology. Implants, crown, endodontics, bucomaxil, dentistics, etc. Master in implants and endontics. Master in Dentiscs. Get a free consultation with Clínica Odontoliuzzi. Located in Flamengo, Rio de Janeiro, we are in the South zone of Rio de Janeiro and at the same time near to downtown. We attend from 8 am till 7 pm. Implants, crown, endodontics, bucomaxil, dentistics, etc. Every dental services. We are a multidisciplinary clinic. How many dental implant procedures have you done? What is your success rate? more than 1000, all with success. Why should someone choose you over the competition? We work only with the best dental materials. We offer a personalized servisse, where the patient choose from the music they will listen, to the massage we will serve and the way of payment is more interesting to them. Very friendly, safe and professional clinic. What procedures do you typically recommend and perform? we look into the problem of each patient and try to find the best solution for their problems. we cannot recommend something only thinking about earning, the health and satisfaction is the most importante for us. What type of implants does your clinic use? Please give me a summary of the steps of getting an implant at your clinic. X-ray, tomography, history of previous treatments, case study on need for grafting or orthodontic procedures, molding, temporary placement, rechecking and implant placement. Can you please provide a quick description of the surgical procedure at your clinic? X-ray, tomography and blood test checking, preoperative mediation, checking patient restrictions, antibiotic prophylaxis, oral or venous sedation. How much do your procedures cost? USD500 per dental implant depending of the case. How many appointments are required to get one or two implants? How long is the healing time like for patients who get dental implants? What do advise your patients to do if they have a problem with their implant? If is happens, we call them immediately to the clinic and remake it without cost. What other costs would there be for someone travelling to your clinic from North America? Basically it must be paid the hotel here. We can offer the shuttle service from the airport. Since we are located in the south zone(best zone) of the city, it is near to the airport and downtown. It it safe in Rio de Janeiro? As all the big cities, it has some places that is not so safe, but not where we are located. The patient will have all the informations about they must go and where they might not. Does a patient need to be able to speak Portuguese? no, they can speak english or spanish. What is there to do in your city? Rio de Janeiro have many places to go, they can visit, some samba houses, the suger loaf, the Christ (Corcovado – one of the 7 wonders in the world), beaches, lakes, clubs, etc. What are the best places to eat in your area? We have like NY, Tokyo, São Paulo, London many kinds of restaurant, but we would suggest a brasilian steak house, where people can eat all kinds of meats with no limit, for veggies, we have also many options. Have a question or inquiry? Click the green button to get in touch with Platinum Dental Budapest. Please note: This interview is for informational purposes only and does not represent a recommendation of the dentist mentioned. All opinions expressed are those of the interviewee. If you’ve had dental work done by this clinic, please leave a review in the comments!